July 16th; J.D. 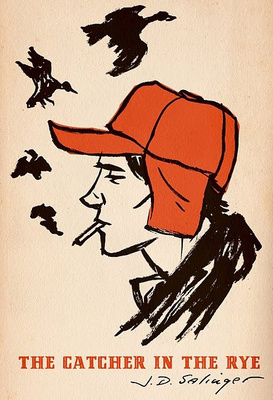 Salinger’s only novel, The Catcher in the Rye, is published by Little, Brown on this day in 1951. The book, about a confused teenager disillusioned by the adult world, is an instant hit and will be taught in high schools for half a century. The 31-year-old Salinger had worked on the novel for a decade. His stories had already started appearing in the 1940s, many in the New Yorker. The book took the country by storm, selling out and becoming a Book of the Month Club selection. Fame did not agree with Salinger, who retreated to a hilltop cabin in Cornish, New York, but he continued to publish stories in the New Yorker periodically. He published Franny and Zooey in 1963, based on two combined New Yorker stories. Salinger stopped publishing work in 1965, the same year he divorced his wife of 12 years, whom he had married when he was 32. In 1999, journalist Joyce Maynard published a book about her affair with Salinger, which had taken place more than two decades earlier. Notoriously reclusive, Salinger died at his home in New Hampsire on Jan. 27, 2010. He was 91 years old.